RECORD-BREAKING Aussie WNBA All Star Liz Cambage says she was sickened by the footage of the Boomers' now infamous basketbrawl with The Philippines. FIBA is set to hand down its findings as soon as today after a near two-week investigation into the on-court fracas during the World Cup qualifier in Manila earlier this month and Cambage believes the Boomers carried themselves well in difficult circumstances. "That was probably one of the craziest things I've ever seen," Cambage, 26, said. "Seeing the footage of Chris Goulding on the ground with eight guys on top of him, beating him, people throwing chairs at other people, I thought it was so sickening, it was appalling. "But I think the Boomers carried themselves pretty well to hold the rest of the boys on the bench. I thought (big man) Thon (Maker) was just trying to protect his teammates and thank God for (Boomers assistant) Luc Longley getting out there. "Chris Goulding could have died if Luc Longley didn't come out and get those people off the top of him." Aussie sets record score: Liz Cambage scored 53 points to set a WNBA record. The dominant Opal, who this week poured in a WNBA record 53 points in her Dallas Wings' win over New York Liberty, said the fall out from the fight was "wild". "All this stuff after it, all the fake tweets and the abuse from The Philippines (on social media), it's pretty wild," she said. "But this is in FIBA's hands, it will be interesting to see what they come out and say but I'm just happy everyone was safe at the end of the day." Chris Goulding is set upon during the brawl. 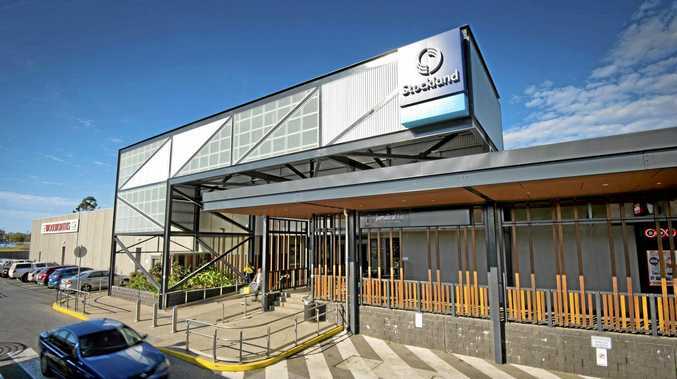 Players from both countries are facing fines and suspensions, but the penalties may not be immediately made public, with the each nation's basketball governing body set to be given up to three days to respond to the FIBA sanctions. 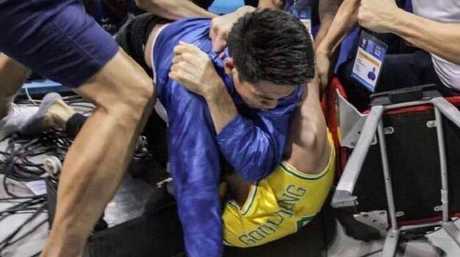 The game erupted into a brawl when Chris Goulding was dumped to the ground by Philippines agitator Roger Pogoy, prompting new Sydney King Daniel Kickert to retaliate with an elbow. Boomers players stayed on the bench during the fight as Melbourne United star Goulding was set upon by Philippines players and officials, and Adelaide 36ers guard Nathan Sobey was beaten over the head with a chair and king hit in the face.